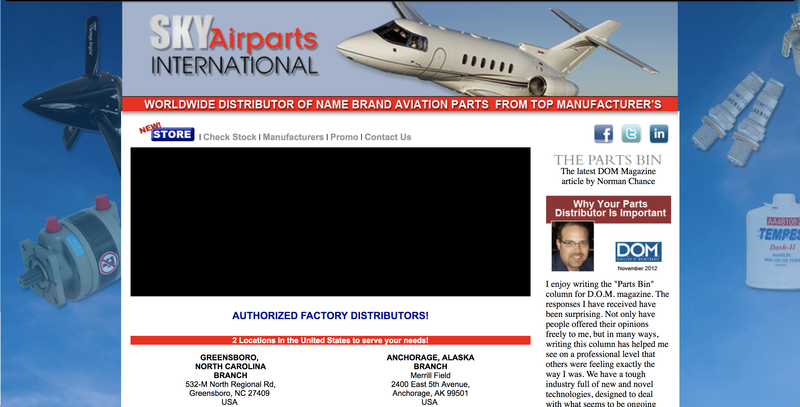 Sky Airparts International is a family business based in Anchorage and Indianapolis that keeps aviators all over the globe well stocked. They compete in a mighty industry and needed an online presence that reflected their impressive coverage, inventory, and professionalism. 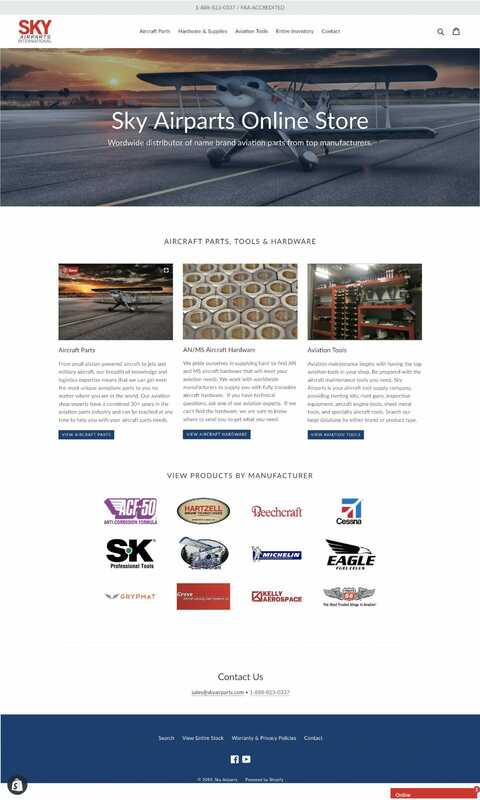 Last year Sky Air reached out to SWS fulfill these goals through a site re-design and this summer we had the pleasure of helping them improve their online store as well. 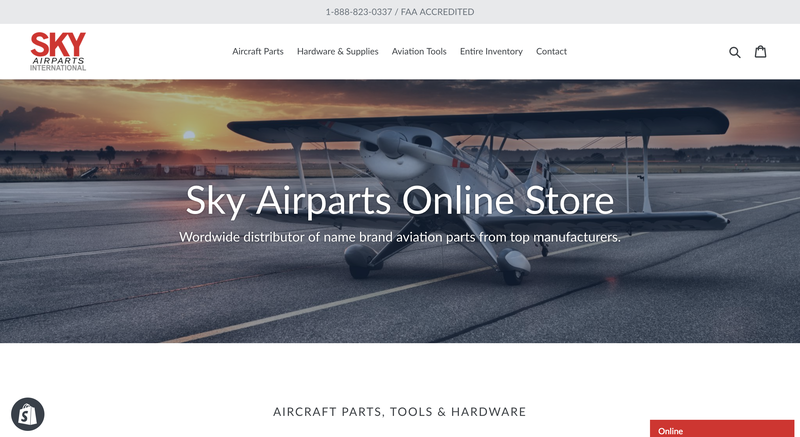 Up to this point, Sky Airparts’ owners were using an e-commerce system that was as difficult for both users and admins to navigate and maintain. They wanted an online store that would increase their online presence, site usability and consequently, their sales. The new store achieved these goals with flying colors (pun intended). Not only is navigation much easier, but the store handles a variety of shipping options, and it is PCI compliant, meaning that their data and customer’s information is kept safe. Not only are users happier, but also the admins. Do you also have an online business that needs to get off the ground?